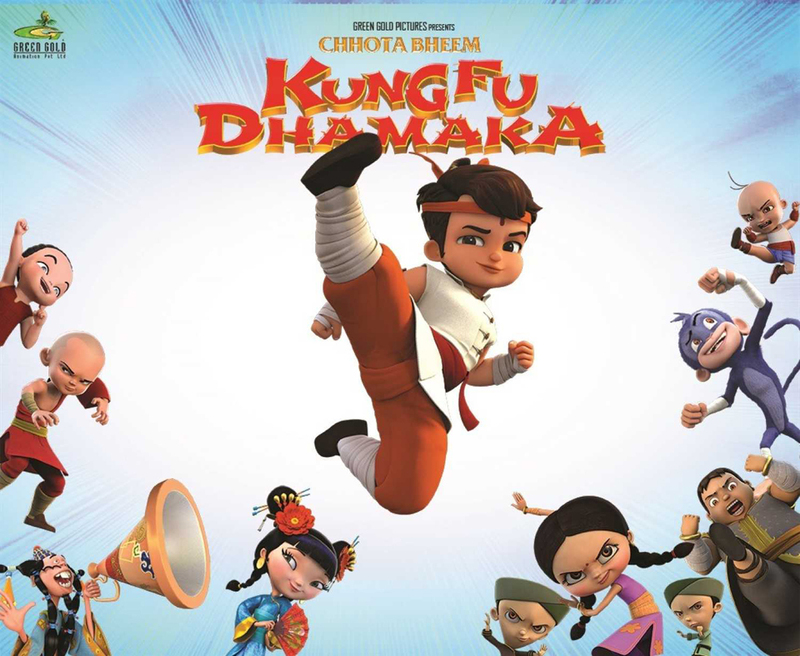 Pogo is all set to premiere 'Chhota Bheem - Kung Fu Dhamaka' next year. Created by Green Gold Animation and directed by Krishna Mohann, the movie features a magical world that justifies the 90 minute entertainment. Produced by animation content company Green Gold Animation, these films will be released in Hindi and Tamil languages across India in stereoscopic 3D & normal 2D versions. Apart from its home productions, Yash Raj Films has successfully distributed films of other renowned film-makers across India through its strong & vast distribution network. In the past, YRF has had a successful distribution collaboration with Green Gold Animation, while distributing their film ‘Chhota Bheem And the Throne of Bali’ across India in May 2013. Chhota Bheem and his friends take a ride to the china to fight with evil forces.